Update: According to this Google+ post, pre-orders for the phone will begin later today. There's still no word on a shipping date. 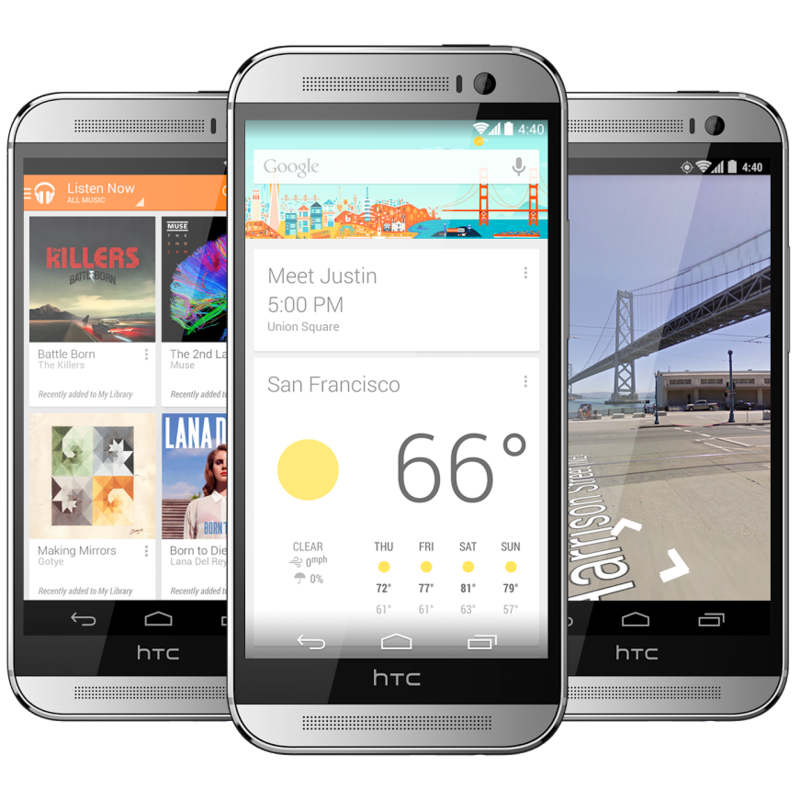 One of the more interesting aspects of HTC's One M8 launch is the rapid way the company is releasing the phone, with major American and Canadian carriers getting access to the device in one day or less. It looks like HTC and Google will be doing something similar with the already-confirmed Google Play Edition of the flagship phone. 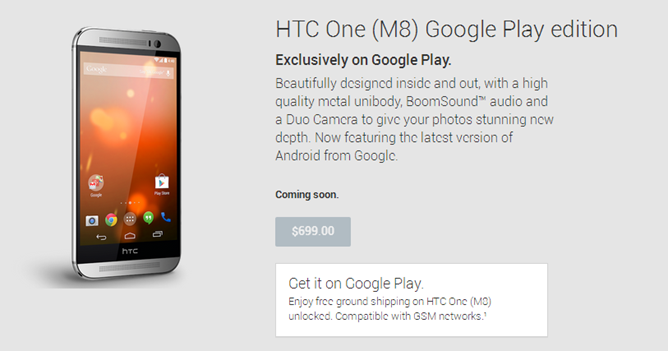 The Play Store page for the One (M8) GPE is now live, though it's only "coming soon." Like previous Google Play Edition phones, you won't get any breaks on the price via a contract or subsidy. 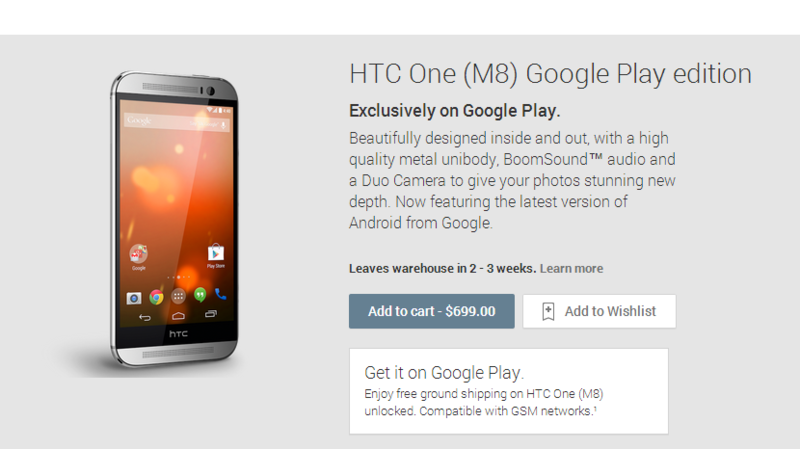 If you want the AOSP goodness that comes from a Google Play Edition device, you need to pony up: the One M8 GPE will cost a full $699. That's in line with "unlocked" prices for other flagship devices, but it's also a full $100 more expensive than the previous Google Play Edition of the One and $50 more expensive than contract-free retail versions. Sorry international readers, the One M8 GPE will only be available in the United States at launch, though that may change with time. As with previous GPE devices, the One M8 will feature unlocked GSM and LTE world bands. The updated version of the One will probably need some tweaked software to account for its dual rear cameras, something that's far from standard in Android, so it may not be running quite as close to "stock" 4.4.2 code as the previous phone. That said, the original One GPE didn't support the infrared hardware, so who knows how much or how little Google is going to customize the code for the individual device - it almost certainly won't work with the fancy Dot View cover. If you want fast updates to the latest versions of Android without any extras, the Google Play Edition is the way to go, and plenty of people are willing to pay the premium. Hopefully having the M8 GPE page up on day one means that the phone will come sooner rather than later.